We have been focusing on the consumer graphics market since some time now but its time to look at what’s in development for the high-performance super-computing and workstation segment by GPU Giant NVIDIA. The Tesla K20X has been NVIDIA’s top beast in this department and has been featured inside the world’s fastest Titan supercomputer (The one after which GeForce GTX Titan was named). Image is courtesy of Bycare! The GPU would also feature GPU Boost technology under specific workloads from AMBER, ANSYS and more yet to be named. 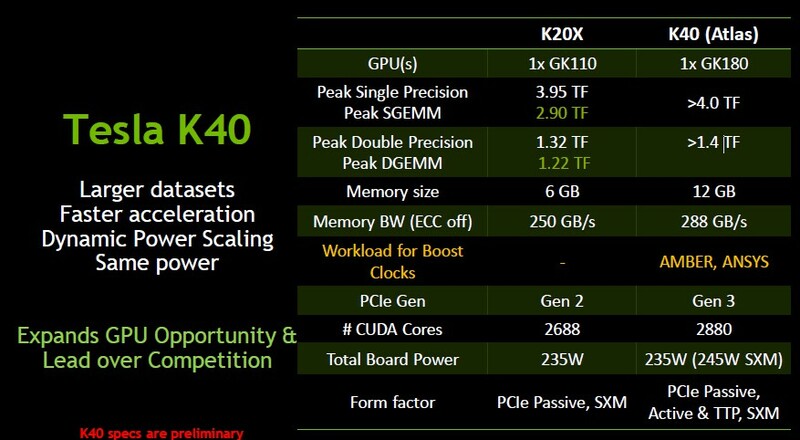 The Tesla K40 would be shipping in the Passive, Active and TTP,SXM form factors with a TDP of 235 W in standard and 245W in SXM form factors. 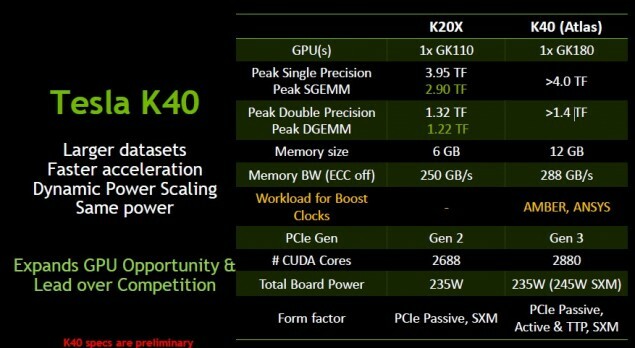 AMD may be ahead in the desktop consumer market but NVIDIA has always shown their true muscles in the high-performance compute segment and the Tesla K40 is going to do the same again once its released. Talking about the consumer market, NVIDIA has plans to release a new GK110 based graphic card in this month around the 16th – 17th, just a few days after AMD lifts the NDA off of their Hawaii based Radeon R9 290X GPU. The GK110 based consumer part is said to be a new 2880 Core part which if so could even feature upto 12 GB GDDR5 memory but we think that the GeForce GTX 770 Ti seems much more possible. In addition to that, Nvidia is going to slash prices off of their several high-end cards such as the GeForce GTX Titan, GeForce GTX 780 and the GeForce GTX 770.